I used to get this sinking feeling in the pit of my stomach when I would receive a referral from a parent or guardian to the tune of “talk to my boy, he’s got anger issues.” My internal response would often be “so you want to force them to open up to a stranger about it? They’ll love that!” I believe most of us clam up around angry outbursts in children. OR if the child is under our care, our own anger flares up as a defense mechanism (I have some experience in this regard). Some experience, research, and self reflection has helped grow empathy in me for these situations, and I hope to share some of the tools that help me most, personally and professionally, on the issue of anger in early adolescents. It is human nature to believe what works for me will work for you. The problem: it is too simple an explanation for our complex existence. For this reason, implementing some high-and-mighty counseling theory may undercut the counselors helping intention. As evidence, look no further than everyone’s favorite Cognitive Behavioral Therapy. While I will be the first to admit this theory holds water, it is not an easily understood premise. Discussing how feelings and thoughts relate to one another is difficult for most grown-ups. Abstract concepts work only insofar as they can be grasped. The book Anger Management Games for Children by Deborah Plummer offers a fresh perspective on choosing activities to intentionally care for the early adolescent or child dealing with anger. There are both excellent theoretical concepts contained in this book in addition to a wealth of games that have potential to give children the space to express their anger and process it. This is wonderful because it finds a way around the complex “meta-cognitive” aspect of counseling. Just as asking creative questions can eclipse the need to connect the dots for a counselee, playing intentional games can lend fresh revelation. At every stage of life, relationships play a major role. Early adolescence is such a malleable juncture; the importance of relationships is arguably greater than in other stages. The counselor of such a demographic must make fostering relationships a priority. In his book Healthy Anger: How to Help Children and Teens Manage Their Anger, Bernard Golden highlights the importance of a sense of “connection” in early adolescent relationships both to themselves and others.” Golden goes on to explain “connection” as feeling the freedom for “sharing, discussing and exploring our internal landscape.” It is with this in mind that the counselor and guardian alike should be making an effort to foster interactions which may help. There are a variety of ways counselors can implement a plan to encourage relational growth. While groups are a great context for this, the counseling relationship can serve this need also. It should also be a goal to foster more permanent associations. The counselor must first ascertain who is in the child’s life who would also be interested in regular caring mentor-like relationships. High on the list likely candidates for involved adults would be parents, siblings, coaches, youth group leaders or teachers. These one-on-one interactions will give context to interact on many different levels, hopefully in ways that will help them to understand their anger in a new light. Consistency is closely related to adolescent anger. Any parenting class will stress the importance of having a framework to handle the “good and bad” issues observed in your child. As the counselor, this is a challenge because we do not live in their environment. Aside from fifty minutes a week, we have relatively little control over how a child lives. To effectively advance efforts in setting boundaries for an angry youngster, the parents or guardians must be brought into the loop. With the help and management of the parent, angry adolescent boys will hopefully come to understand the limits to what they can and cannot do under their parents’ roof. Though everyone wants to be liked, caregivers must understand that loving may not resemble being a best friend. Part of tangibly educating a child on the way of the world is showing that there are consequences to all of our actions. We do a child a disservice when we avoid the touchy parts of growth in lieu of the comfortable ones. Although negative self talk is not solely a concern for early adolescents, as in any key developmental stage, it must be recognized and dealt with. Whether evil statements have been spoken over the child, or they are testing the waters with something they heard, the power of words must be recognized. How can a counselor or parent combat their child barraging themselves with these thoughts? Golden outlines a helpful framework to begin to address negative self talk in early adolescents. Recognize self-talk that reflects automatic internal dialogue. Clarify self-talk that reflects unrealistic thinking. Challenge and replace unrealistic self-talk by realistic self-talk. My personal experience is that this can be awkward. It is often embarrassing for the youth to acknowledge their own incorrect thoughts. Still, discomfort is a small price to pay for breaking through the lies an angry early adolescent tells themselves. As my final tip, I want to exhort the reader to accept the emotions of their angry early adolescent boy. Ultimately, this is a call to empathy. This is a challenge for any parent or counselor who bears with someone as they continually make mistakes or do not seem to “get it.” In Pudney and Whitehouse’s aptly named book Little Volcanoes: Helping Young Children and Their Parents to Deal with Anger, the importance for this believing in emotions will hopefully enhance the counselor’s curiosity and passion to rightly help their client. Actively listening to an adolescent boy is an essential aspect of caring. Joining and affirming skills should be used generously as we seek to help them best. One final word on the purpose of anger. In Ephesians, Paul tells the church to “be angry and do not sin.” (4:26a). To me, this reads as a command. In other words, don’t pretend you don’t have this desire to attack an unjust thing, but rather embrace it and learn to express it in a constructive way. There are plenty of things to be rightly angry about, and Paul exhorts this emotion while also giving an important qualification for how we are to express it. This is the balanced view I seek as I enter into this work with someone. Hopefully, we can accept anger in ourselves and learn to express it in a healthy way, and pass this understanding along to our young ones. Golden, B. (2003). Healthy Anger : How to Help Children and Teens Manage Their Anger. Oxford: Oxford University Press. Plummer, D. (2008). Anger Management Games for Children. London: Jessica Kingsley Publishers. Pudney, W., & Whitehouse, E. (2012). Little Volcanoes : Helping Young Children and Their Parents to Deal with Anger. London: Jessica Kingsley Publishers. Written by Zachary Adams, M.A. 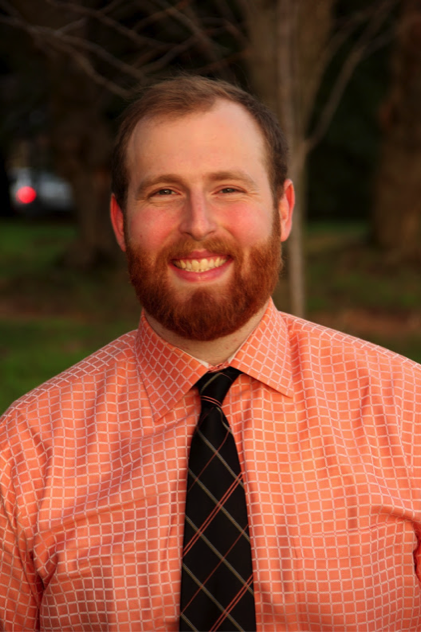 Zachary Adams is employed at the Visiting Nurse Association of Philadelphia as Bereavement Coordinator & Counselor. His areas of focus include coping with grief and loss, crisis intervention, and community resourcing. Zac has specialized in Hospice and Palliative care over the past 3 years, is passionate about learning in all seasons of life, and for those disenfranchised and damaged to live more abundant lives.